AFTER the Budget 2019 announcement more than a week ago, Bank Pembangunan Malaysia Bhd (BPMB) has been in the limelight as it was given the mandate for three initiatives. The government, through BPMB, is looking to set up a RM3 billion Industry Digitalisation Transformation Fund with a subsidised interest rate of 2%, to assist in a shift to smart technology, automation, robotics and artificial intelligence. Also through BPMB, the government is offering RM500 million under a Public Transport Loan Fund with a subsidised interest rate of 2% to taxi operators, bus companies and other public transport operators. The bank is also slated to provide a Sustainable Development Financing Fund of RM1 billion, again with a 2% subsidised interest rate, to support sustainable development under the United Nations Development Programme. 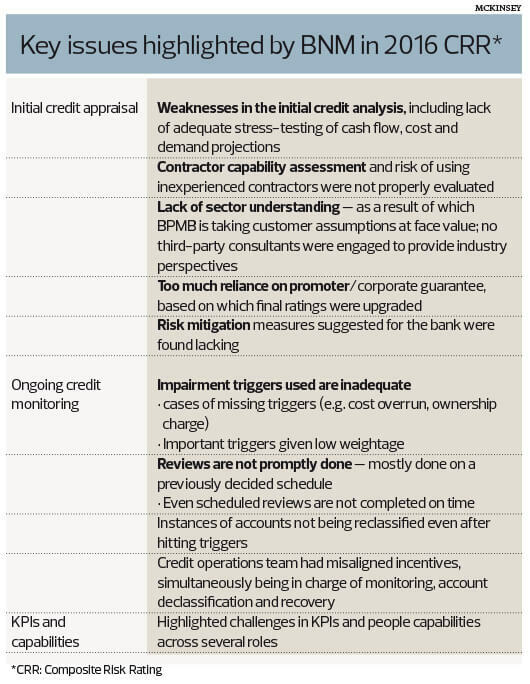 BPMB’s expertise in these areas of financing is not known. However, there is some trepidation, considering its track record. “If you were stranded in a desert and told to bring a bucket to carry a limited ration of water, the first thing you would do is make sure the bucket was not porous, cracked or had holes. Similarly, the government says it has no money, but then gives out funds to BPMB, whose track record in dispensing and recovering loans has been found wanting,” one banker says, summing up the concern. And it is not like the government does not know how things are at the bank. BPMB is wholly owned by the Minister of Finance (Incorporated). Chairman Tan Sri Wan Abdul Aziz Wan Abdullah and directors Datuk Seri Hashmuddin Mohammad and Tan Sri Rahamat Bivi Yusoff are all former Ministry of Finance executives and are its appointees, while another director, Datuk Wan Azhar Wan Ahmad, was with Credit Guarantee Corp Malaysia Bhd, which is under the purview of Bank Negara Malaysia, another government body. It is not clear if ministry officials are aware that McKinsey was given the task of coming up with a road map for BMPB earlier this year and the consulting firm issued a damning report on the development financial institution (DFI) (see accompanying story). Among others, the report also raised questions about the lax supervision at BPMB. How this is so is anyone’s guess as it is widely known that Bank Negara has an office with a dedicated parking bay at BPMB’s headquarters in Jalan Sultan Ismail, Kuala Lumpur. So, this raises the question as to how BPMB gave out questionable loans, among other things. For its financial year ended December 2017, BPMB’s after-tax profit strengthened by almost 282% year on year to RM199.4 million. Its gross impaired loans, financing and advances ratio improved to 12.15% in FY2017 from 15.02% in FY2016. While an improvement, it is still a high 12 sen write-off for every RM1 lent by the bank. 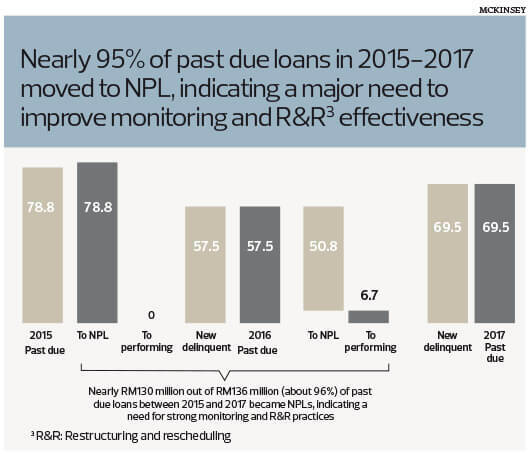 The McKinsey report highlighted certain borrowers such as Zecon Medicare Sdn Bhd, Green Pluslink Sdn Bhd, Fiscal Laurel Sdn Bhd and SA Hotels & Resorts Sdn Bhd. Checks on RAM Credit Information reveal that Zecon Medicare had no credit facilities with BPMB. However, last December, Destini Bhd — a well-connected company under the Barisan Nasional government — disposed of its 51.92% stake in waste tyre extrusion and recycling subsidiary Green Pluslink for RM4.4 million, to Terokadana Sdn Bhd. According to Destini’s annual report, Green Pluslink suffered a net loss of RM2.83 million on revenue of RM727,428. RAM Credit data shows that Green Pluslink has a RM6.87 million facility with BPMB, but it is fully satisfied. Destini’s advances to Green Pluslink, amounting to RM11.81 million, will be converted into a long-term loan with a 6% per annum interest rate and will be payable by Dec 31, 2020. In the case of Fiscal Laurel, the hotel operator has a RM68 million unsatisfied facility with BPMB. For its financial year ended June 2017, Fiscal Laurel suffered an after-tax loss of RM866,906 from RM2.63 million in sales. It had non-current and current assets of RM64.04 million and RM831,518 respectively as well as long-term debt commitments of RM26.59 million and short-term borrowings amounting to RM22.18 million. SA Hotels & Resorts, which is wholly owned by Senja Aman Development Sdn Bhd, has a RM90 million unsatisfied facility with BPMB. For its financial year ended June 2015, SA Hotels & Resorts suffered an after-tax loss of RM421,587 and did not register any revenue. As at end-June 2015, SA Hotels & Resorts had total assets of RM35.12 million and liabilities amounting to RM9.16 million. Some of the more celebrated cases at BPMB include Asian Broadcasting Network (M) Sdn Bhd (ABN) — a company linked to well-connected businessman Tan Sri K K Eswaran, who is supposedly a close associate of former prime minister Datuk Seri Najib Razak — which has a RM450 million facility, which is unsatisfied, according to RAM Credit. 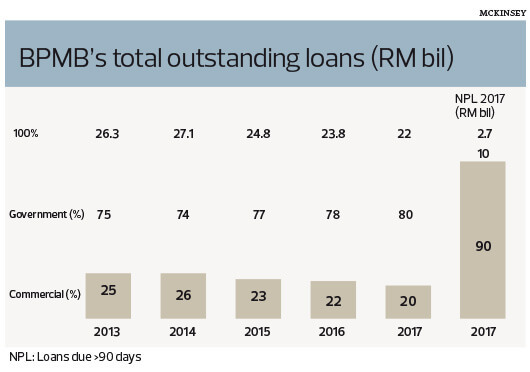 It was reported last year that ABN’s debt totalled RM400 million, with about half of it, or RM200 million, owed to BPMB. For its financial year ended December 2015, ABN incurred an after-tax loss of RM60.58 million on revenue of RM4.88 million. Its accumulated loss amounted to RM227.85 million. In May last year, it was reported that ABN was being wound up following a court petition by Sony (M) Sdn Bhd. 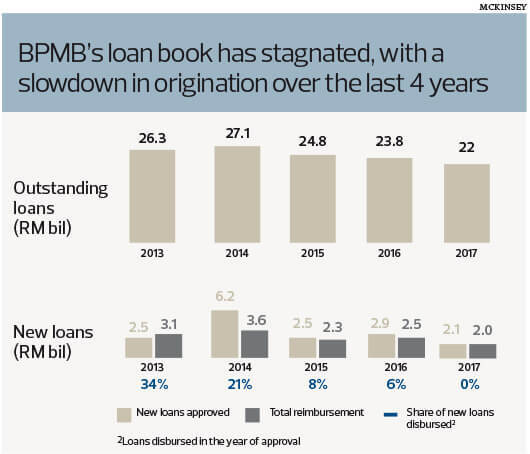 BPMB’s ability to recover the loan remains to be seen. ABN is 70%-controlled by The ABN Media Group Sdn Bhd, 20% by Kurnia Mantap Sdn Bhd and 10% by Mutu Pedoman Sdn Bhd. The ABN Media Group is owned by Gubahan Mewah Sdn Bhd (65%) and Antara Ceria Sdn Bhd (35%). Both companies are wholly owned by Eswaran’s vehicle, Allgrow Capital (M) Sdn Bhd. Mutu Pedoman is controlled by Datuk Kamaruddin Mohd Jamal while Kurnia Mantap is wholly owned by Tan Sri Mohamed Noor Abdul Rahim. BPMB is also understood to have extended financing to Integrated Nautical Resort Sdn Bhd and Garuda Suci Sdn Bhd — both of which are linked to Indonesian businessman Tan Sri Peter Sondakh — which were set up to build and operate the St Regis hotel in Langkawi and build and operate the Langkawi International Convention Centre. Sondakh is also a known associate of Najib. According to RAM Credit, Integrated Nautical Resort has a RM246.54 million facility with BPMB, which is unsatisfied, while Garuda Suci has a RM57.75 million facility that is still due. Integrated Nautical Resort and Garuda Suci are both 40%-controlled by Sondakh via Eagle Rock Capital (L) Bhd, 30% by Lembaga Pembangunan Langkawi and 30% by Aset Tanah Nasional Bhd, a unit of the Ministry of Finance. Integrated Nautical Resort and Garuda Suci have been suffering losses since 2013, which raises the question as to how BPMB will be recouping its money. Why did BPMB give out loans to a company linked to Sondakh? Sondakh already wholly owns The Westin Langkawi Resort and Spa, located not far from St Regis. Critics say it would seem obvious that he would be more concerned about the Westin than St Regis, of which he has only a 40% stake. Considering Lembaga Pembangunan Langkawi and the Ministry of Finance are not hotel operators, why did BPMB lend to an Indonesian businessman, let alone one who wholly owns another luxury hotel nearby? Another misstep by the bank was Syarikat Borcos Shipping Sdn Bhd, which is now wholly owned by Global Maritime Ventures Bhd (GMV), a 90% unit of BPMB. It is not clear how or why GMV ended up wholly owning Syarikat Borcos Shipping Sdn Bhd. Liquidators KPMG were appointed to Syarikat Borcos Shipping at end-December 2016, after the company went belly up. Syarikat Borcos Shipping had a RM62.7 million facility with BPMB, which was unsatisfied. For its financial year ended December 2015, the company registered an after-tax loss of RM282.43 million on revenue of RM90.46 million. Its accumulated loss amounted to RM317.87 million. It is said that GMV, as a venture fund, is not the best candidate to manage ships. Other companies GMV has a stake in include Malaysian Bulk Carriers Bhd, in which BPMB has an 18.39% stake and tycoon Robert Kuok Hock Nien has 48.46% equity interest. GMV also has a 40%-joint-venture with Alam Maritim Resources Bhd, which has three ships. It was reported that GMV bought a 35% stake in Syarikat Borcos Shipping for RM146.54 million in 2011 and acquired the remaining 65% in January 2013 for RM190.45 million. Perhaps GMV and BPMB should clarify what really transpired. 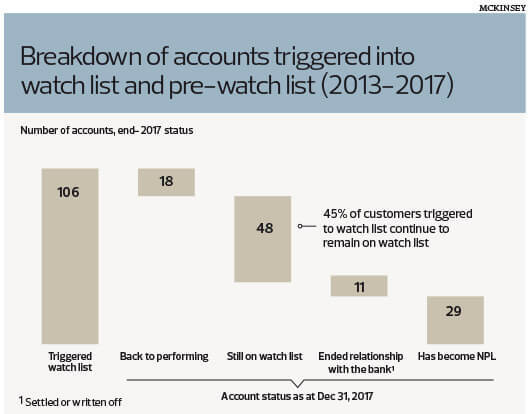 After the Development Financial Institutions Act 2002 came into force on Feb 15, 2002, Bank Negara was left to administer the Act and provide a comprehensive and effective regulatory framework for DFIs. Pursuant to Section 116 of the Act, effective April 2002, DFIs, including BPMB, are required to submit monthly management reports with quantitative and qualitative indicators on their economic and social contributions as well as their financial performance. This being the case, a question many may ask is, how did lax lending at BPMB escape Bank Negara’s attention? Apart from the dubious loans, there appear to be other shenanigans at BPMB. For instance, it pays its chairman a fee of RM15,000 per month while its directors are remunerated RM5,000 a month. The chairmen of its Credit Committee, Group Nomination and Remuneration Committee, Audit and Examination Committee and Risk Management Committee get RM5,000 each per meeting while the members get RM3,000 each. According to its 2017 annual report, the board of BPMB met 27 times; the Risk Management Committee, 29 times; the Credit Committee, 28 times; the Group Nomination and Remuneration Committee, 24 times; and the Audit and Examination Committee, 16 times, giving a total of 124 meetings that year. In total, BPMB’s directors remuneration in FY2017 amounted to RM4.42 million, up almost 30% from RM3.41 million in FY2016. In contrast, another DFI, Small Medium Enterprise Development Bank Malaysia Bhd (SME Bank), had 42 meetings in all, for its board, Nomination Committee, Remuneration Committee, Audit Committee and Risk Management Committee, and paid out RM2.65 million in total in FY2017. If BPMB’s directors had met 124 times last year, excluding weekends and public holidays, it would mean that the meetings were held every other day or more frequently. The Edge understands that there was another study on BPMB done by human resource solutions firm Aon Hewitt, which is said to have concluded that the directors were overpaid. One director who had attended various meetings took home in excess of RM900,000 annually, which is much higher than many of the senior management officers’ take-home pay. It is ironic that with all these meetings, BPMB’s gross impaired loans, financing and advances ratio was a high 12.15%, compared with less than 2% for conventional banks. It is also no secret that BPMB’s board and management do not see eye to eye. Former president and CEO Shahruddin Zainuddin, who left the bank in end-July, has sought legal redress against BPMB. Shaharuddin’s replacement will be the third CEO in three years. There are also questions as to why CEOs have been parachuted in, and no one at BPMB has been deemed capable enough to lead the bank. Bank Negara and BPMB did not reply to questions sent by The Edge at press time. Editor's note: We would like to point out that incorrect statements were made regarding SA Hotels & Resorts Sdn Bhd and Senja Aman Development Sdn Bhd. The article said SA Hotels & Resorts Sdn Bhd (SAHR) was a borrower with an unsatisfied facility with Bank Pembangunan Malaysia Bhd (BPMB). To clarify, SAHR is not a wholly-owned subsidiary of Senja Aman Development but of Senja Aman Holdings Sdn Bhd. SAHR is the owner/developer of the Angsana Teluk Bahang Hotel while Senja Aman Development is the owner/developer of the Angsana Teluk Bahang Serviced Apartments. Together, they form the Angsana Teluk Bahang Penang development, which is a five-star resort located on the pristine beaches of Teluk Bahang, Penang, and will be managed by Banyan Tree Hotels and Resorts Pte Ltd. The development is in an advanced stage of construction and in the pre-opening stage with Banyan Tree. While SAHR does not register revenue during the construction stage of the development, it is expected to be profitable once operations start. In 2014, SAHR received an endorsement from the Ministry of Tourism and Culture, qualifying it to apply for the Tourism Infrastructure Development Fund (TIDF) managed by BPMB. In 2016, SAHR signed a forward commitment facility under TIDF with BPMB of RM90 million for the hotel block, to be drawn down only upon the completion of the said block. This facility requires a yearly commitment fee by SAHR in order to secure the fund prior to draw-down. BPMB does not undertake any development or completion risk in this facility. Upon draw-down, BPMB will have a charge over the completed hotel asset. SAHR has fully paid the commitment fee and is in compliance with all the terms in the agreement with BPMB. It is erroneous and misleading to state that this is an “unsatisfied facility” with BPMB as reported in the article. SAHR will hand over the development to Banyan Tree upon the completion of its construction in mid-2019.